Horn Mill Trout Farm has been a favourite fishing ground for the Rutland Ospreys for the last 15 years and, due to its close proximity to Rutland Water, can be visited by several birds every day from late March until late August. 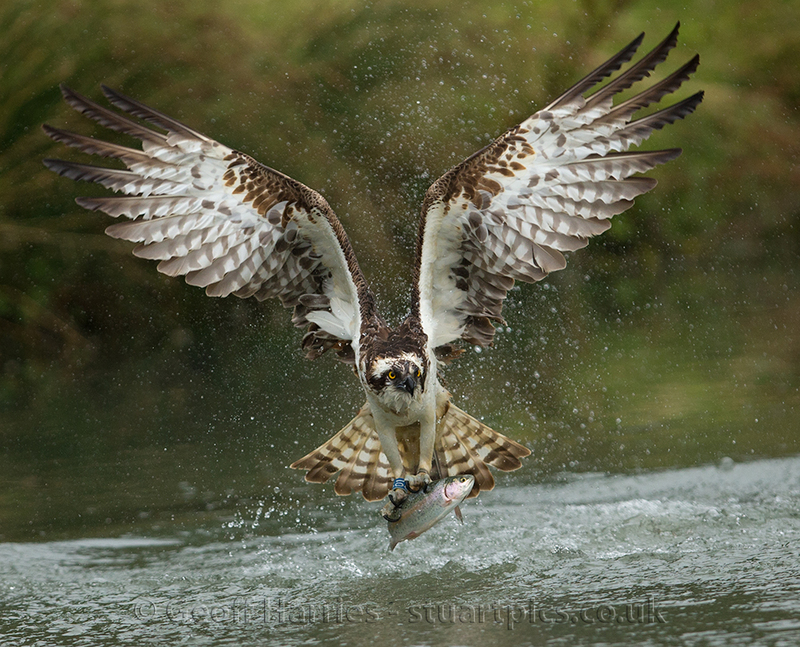 The abundant supply of fresh trout at exactly the right size for a fishing Osprey meant that they started to have a significant impact on our business, and by 2013 we were losing up to 1000 fish a year, so we took the decision to net all of the farm in to prevent these losses and protect our fish stocks. 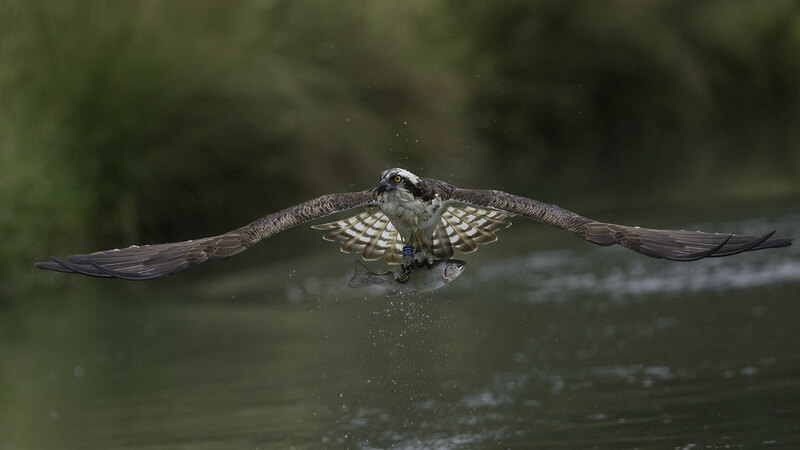 After speaking to Tim Mackrill, Team Leader for the Rutland Osprey Project, we decided to take a very different approach from normal and leave our largest pond open for the birds to fish. 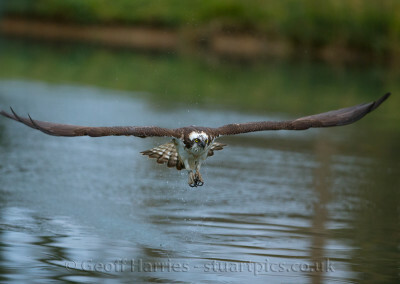 With the help and guidance of Tim’s team we constructed a hide purely for photographing these amazing birds in action. 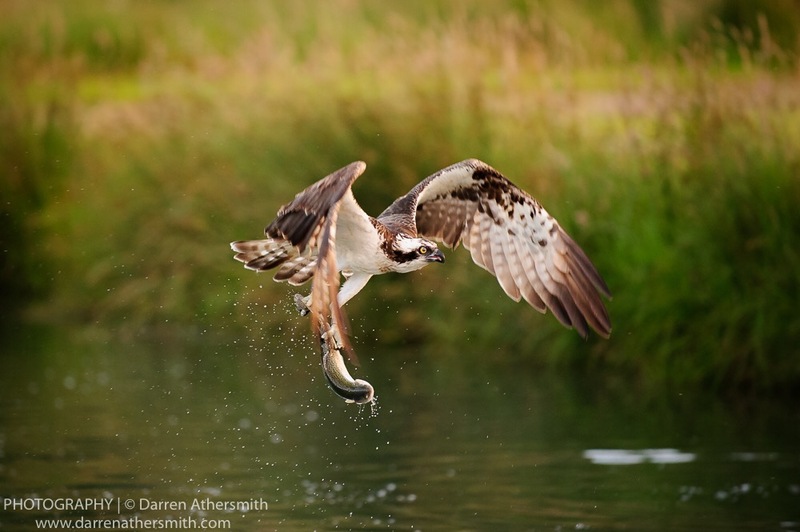 The hide is sunk into the ground beside the pond and provides the only opportunity so far in England to experience and photograph Ospreys at extremely close quarters. 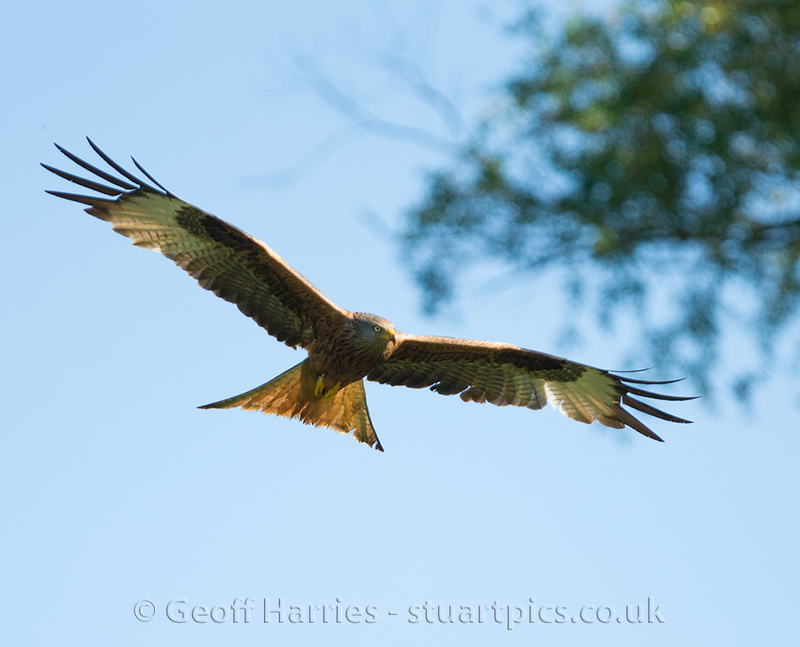 Late session: 4.30pm to Dusk. £75 per person, per session. 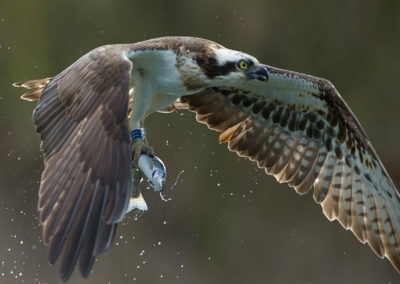 The hide at Horn Mill is purpose built for photographing Ospreys and provides plenty of space for up to 4 people and their equipment. 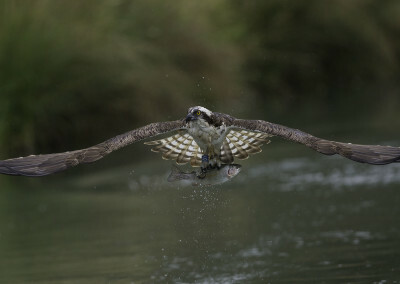 It faces SW over a large pond that is 36m x 17m and stocked with several thousand trout. 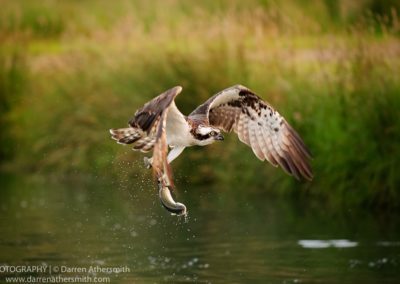 We opened in July 2014 and, after some initial frustration due to the varying feeding patterns of the birds, the hide started to produce some fantastic close range images of Ospreys in action. 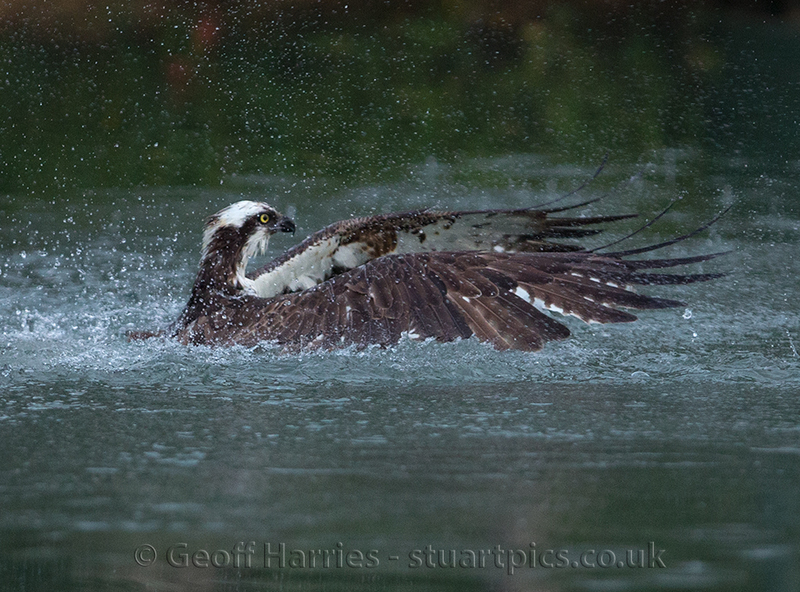 Some of the birds hit the water as close as 3m from the hide !! Obviously this is a working fish farm and not a wild remote part of Scotland but we have done everything possible to make the hide and the setting suitable for photography and coupled with the chance to photograph our resident Kingfishers and Herons there is normally plenty to see in a session. 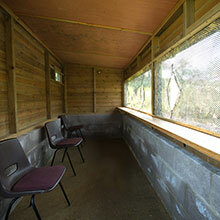 The hide is available to book daily and session times are dawn-8.30am or 4.30pm-dusk. Prices are £75/person/session. 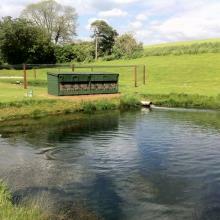 The hide is located at Horn Mill Trout Farm, Tickencote Road, Exton, Oakham, Rutland LE15 8BA. 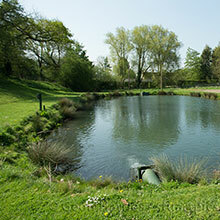 Please be aware when using the post code in a Sat-Nav you may be taken half a mile away from the site. 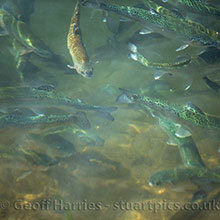 We have found using google maps and entering Horn Mill Trout Farm is the best option. 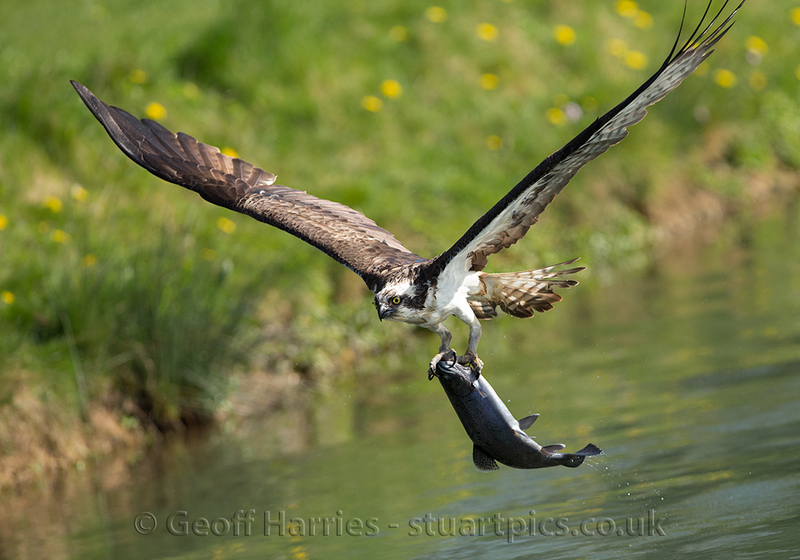 Please DO NOT visit River Gwash Trout Farm, Belmesthorpe Lane, Ryhall, Stamford Lincs PE9 4JZ, this is our other fish farm which does not offer Osprey photography. We open from April 1st to August, all depending on bird activity i.e which birds come back, how many have chicks and when migration is looking likely. 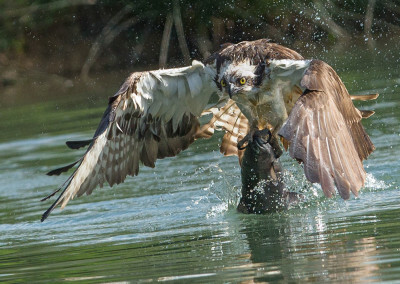 How much is the hide? 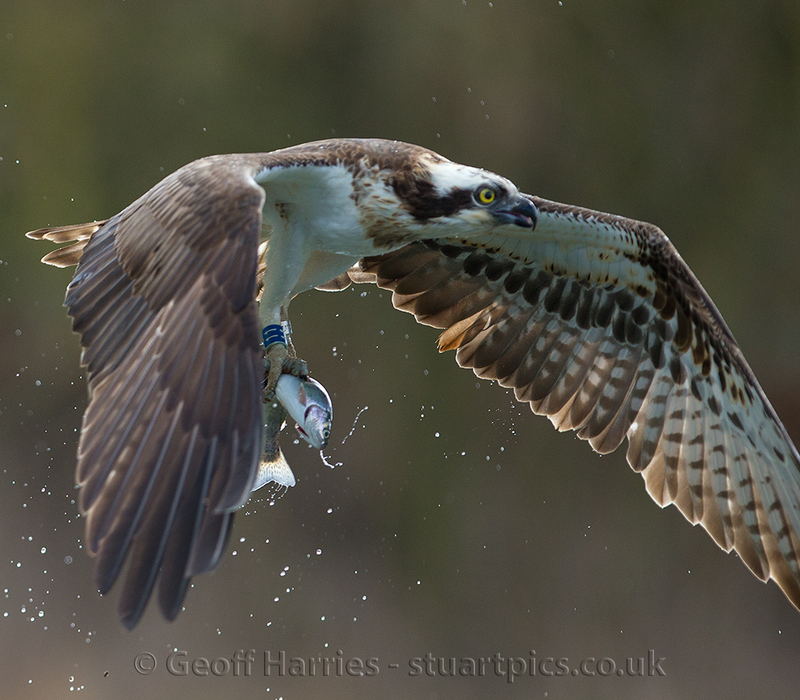 For the 2018 season, the hide will be £75 per person/session. Payment is made via a bank transfer on the day of your booking. 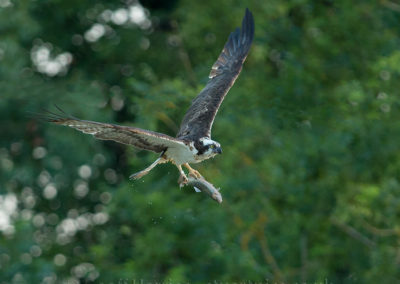 We run dawn sessions 7 days a week and evening sessions Monday – Thursday. There are no better sessions, everyday is different. Sometimes light can be more favourable in the evening. Arrival times vary throughout the season, but we will contact you prior to your visit. Dawn sessions will end at 8:30 am. In the summer arrival time may be as early as 4 am. Evening sessions normally start at 4:30 pm until dusk, but again times will vary throughout the season. Please allow plenty of time for your journey as if you arrive late you may be refused entry to the hide. How many dives can I expect during a session? 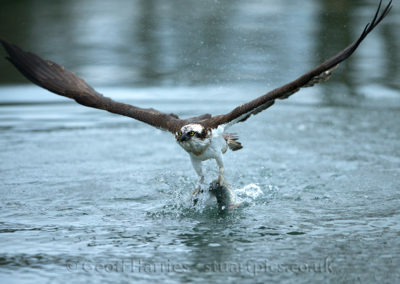 Obviously, we are dealing with wildlife so there are no guarantees, but you could expect anything from 1 Osprey diving and catching on his first attempt to the same bird diving numerous times before catching a fish. 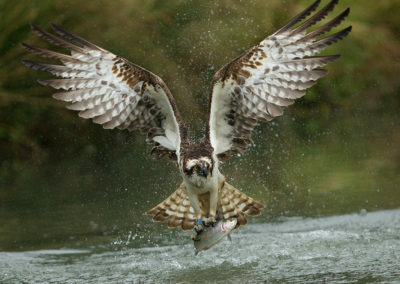 Or there could be 4 or 5 different birds fishing several times during the session. What happens if no birds show? 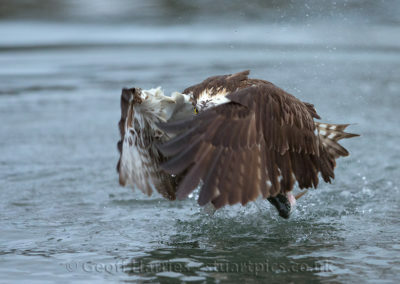 If you have a blank, a blank being defined as an Osprey not showing up at all. Then we offer you 1 free return, please do not expect another free session from a free visit. 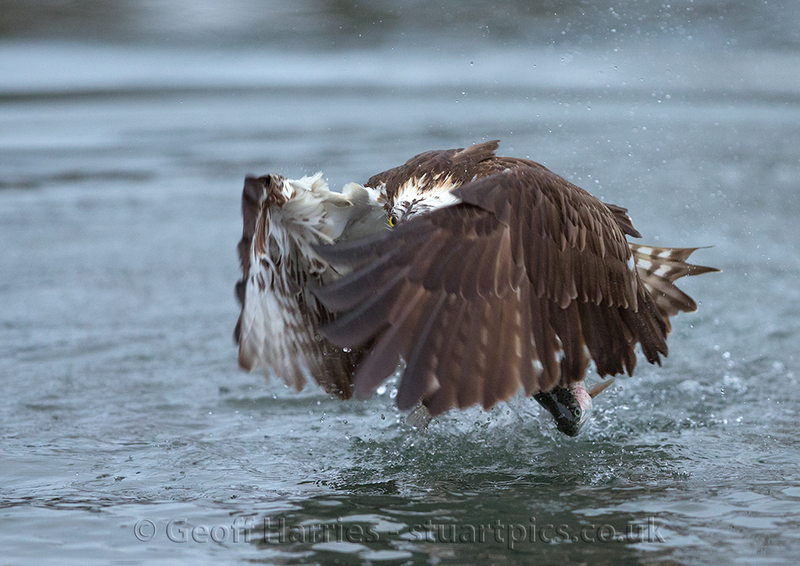 The Ospreys have dived as close as 4 metres away from the hide. 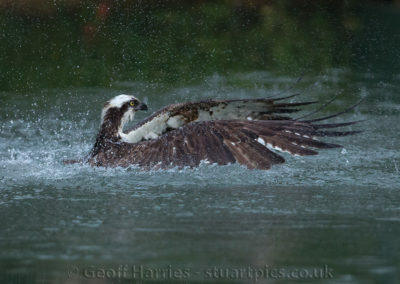 For more information regarding lenses please visit our Osprey Photography Tips section by Geoff Harries on this website. 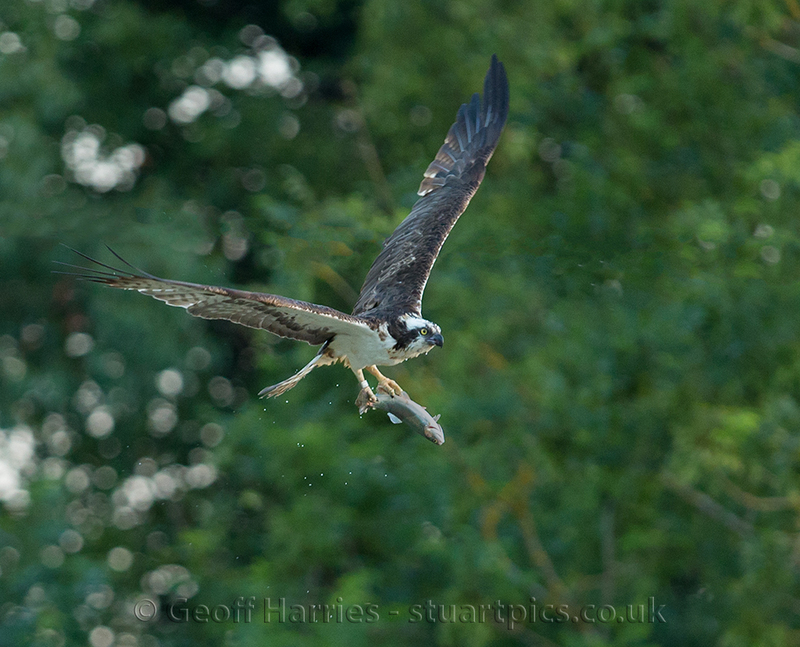 We have resident Kingfishers, Red Kites, Buzzards, Egrets, Herons, Woodpeckers, Wagtails, and Muntjac to name a few. All payments are via a bank transfer. Once a payment has been made, it is non-refundable. If for any reason you need to amend your booking, we will make every effort to rearrange your booking to a convenient date. Unfortunately, you will not be able to change your booking less than 72 hours prior to your visit.